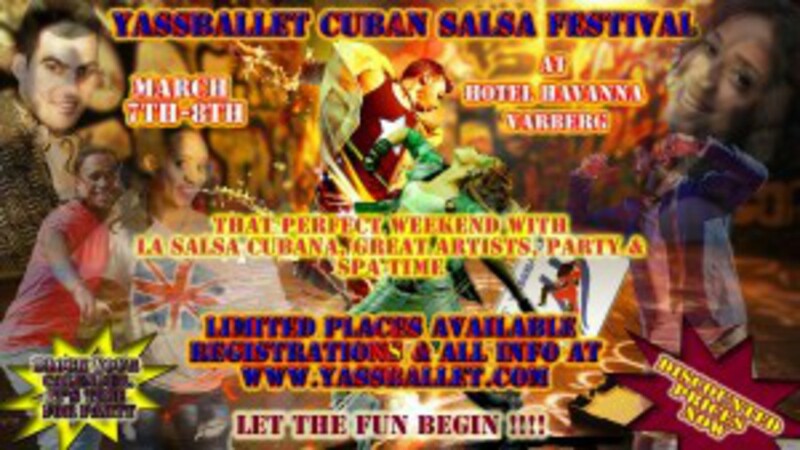 Welcome everybody to Yassballet's Cuban Salsa Festival at Hotel Havanna (Sweden), a unique experience to combine la salsa cubana with friends and SPA time. The Registrations for the Cuban Salsa Festival 2015 are open right now and continue till March 7th. Looking forward to dance at the most awaited Cuban salsa festival in GOTHENBURG - SWEDEN... Bienvenidos !! !